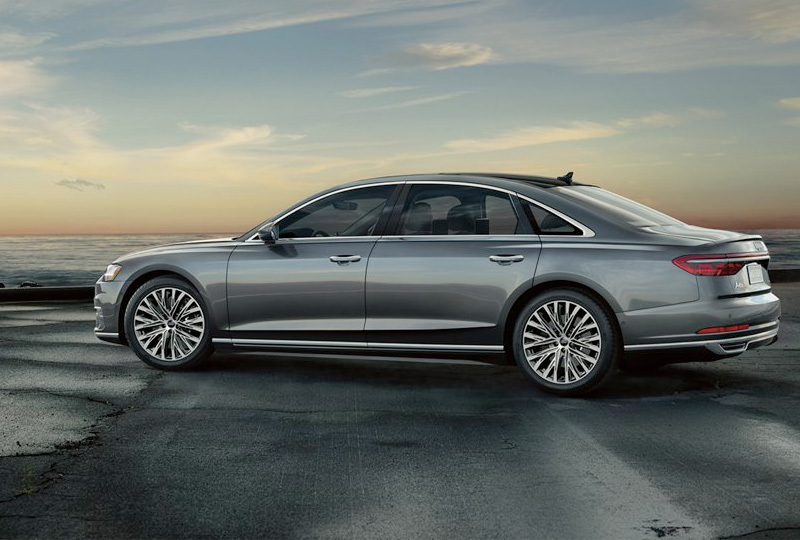 The 2019 Audi A8 from Audi Shawnee Mission in Lenexa, KS - serving Kansas City, Shawnee Mission, Mission, Overland Park, Leawood, Lee Summit, and Merriam - is a luxury car with incredible power. Conquer the road with a stunning, 2.0L TFSI® turbocharged V6 engine that supplies 335 HP and 369 lb.-ft. of torque. Master gear changes with the standard, 8-Speed Tiptronic® automatic transmission, and dominate difficult driving situations with standard, Quattro® all-wheel drive. 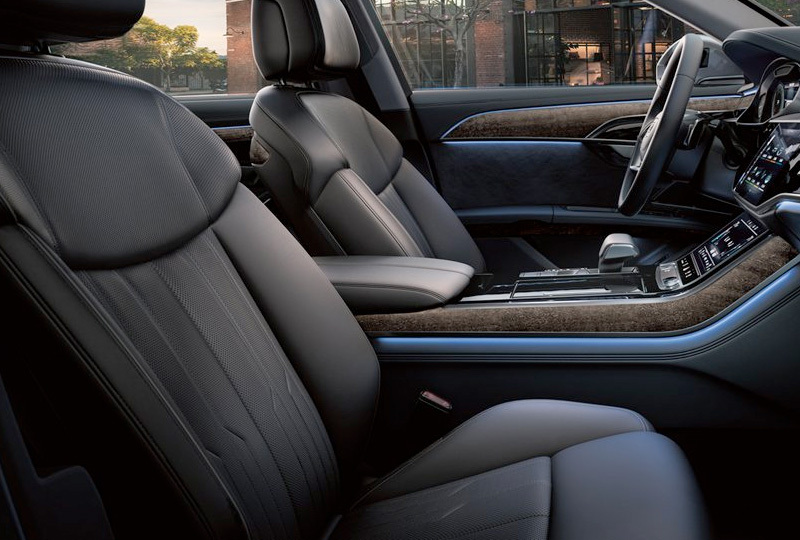 Indulge in premium comfort with standard, Valetta leather-appointed seats and a four-zone automatic climate system. Control multiple entertainment features with your MMI® touch response controller that has dual center displays and new, haptic feedback. Effortlessly control your surroundings with the programmable Homelink® garage-door or gate opener, and get full connectivity with advanced smartphone integration. 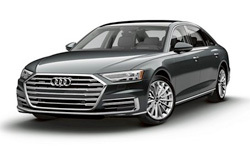 It's a great day to drive home a new 2019 Audi A8 from Audi Shawnee Mission. We've got amazing offers on new vehicles and new auto loans are at their lowest rates in years. See the new inventory for yourself at 8035 Lenexa Drive, Lenexa, KS! As leaders in the illumination arts, our designs are hard to ignore. We have a history of taking lighting to new dimensions. 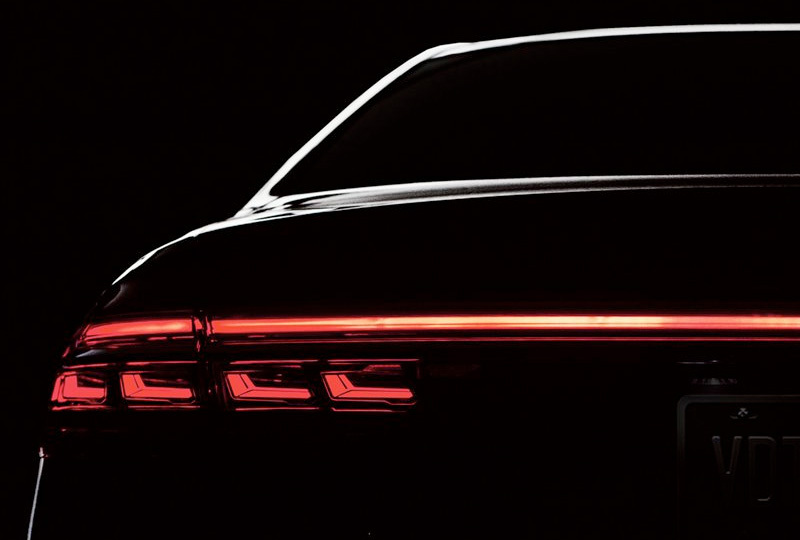 In the all-new Audi A8, the sculptural shapes of the headlights and taillights elicit a closer look. Dial in the performance that suits you and the conditions. Choose from Comfort, Dynamic, Auto or Individual settings to change ride quality, steering and engine response with a touch of a button. The available Audi A8 Rear Seat Comfort and Executive Rear Seat packages includes a rear seat smart remote control from which rear-seat passengers can adjust climate controls, seating positions, lighting and convenience functions. 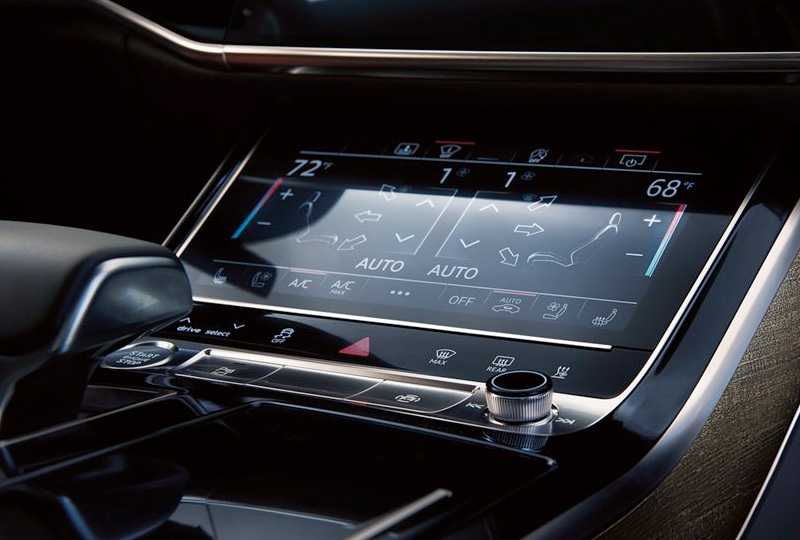 Part of the available Driver Assistance package in the Audi A8, Turn and Intersection assist uses cameras and sensors to detect on-coming vehicles prior to your turn or when pulling through an intersection, and can help intervene by applying the brakes.